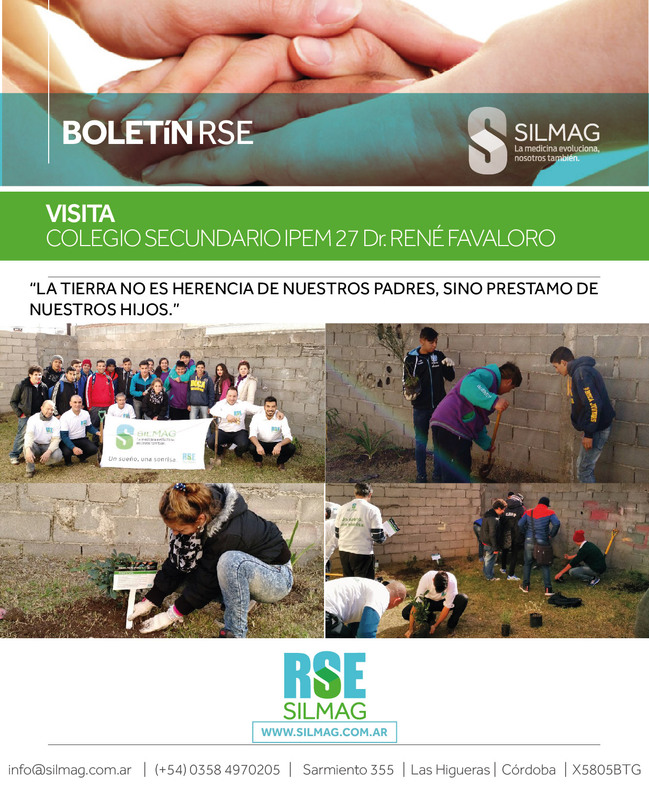 As part of the Word Environment Day activities, SILMAG would like to thank I.P.E.M. Nº 27. DR. RENE FAVALORO for opening their doors to us and being part of our joint activities. Through its Corporate Social Responsibility (CSR) department, the company delivered native plants to the local institution in order to help take care of the environment in which we live.